The area’s top police official has hit out at the Government as she proposes increasing tax precepts. 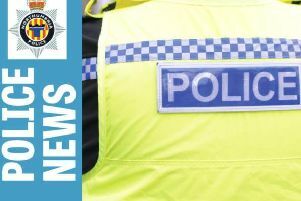 Northumbria Police and Crime Commissioner Vera Baird says she is reluctantly asking members of the public to pay the equivalent of 46p extra a week – for a Band D property – to help fund local policing. She has accused the Government of moving the responsibility for the majority of this year’s settlement on to the public by allowing a local increase to the precept of up to £24 per year. Dame Vera Baird said: “Local residents know that I firmly believe the Government should pay to deliver policing. Sadly, Theresa May does not agree. “In Northumbria we stretch every penny out of every pound. However, without significant additional investment Northumbria Police would be unable to provide the current levels of service to our communities. “We continue to make savings and efficiencies to direct money to the services that local residents want to see provided. Alternatively, email enquiries@northumbria-pcc.gov.uk with your name and postcode or call 0191 221 9800. The consultation will run until January 21.